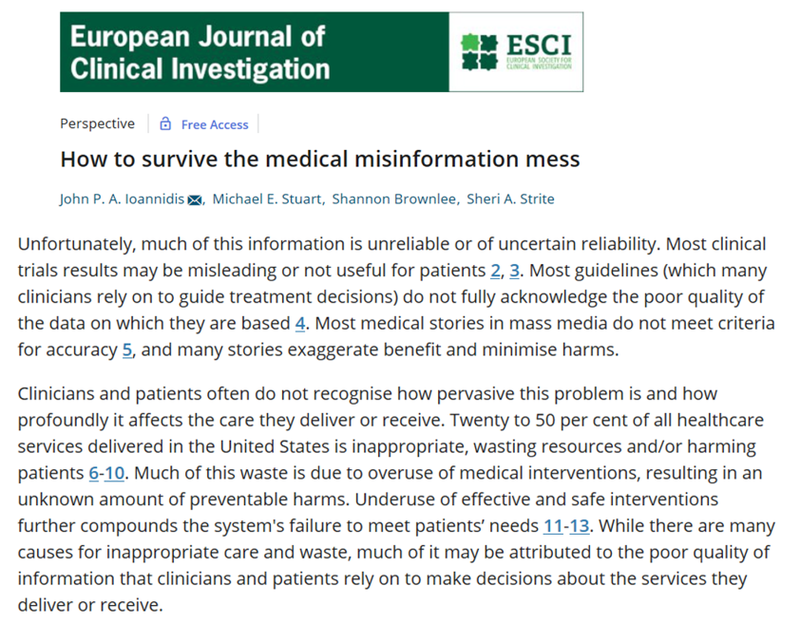 that America’s Premier Medical Research Journal, the Journal of the American Medical Association (JAMA) – whose endorsed use of e-cigarettes, “vaping”, as a form of “harm reduction” has become within months a child substance use epidemic – would naturally help disseminate research conclusions that generate predictable risk of continued illness and mortality by overtly falsely attributing quit smoking success rates of 10 percent and 18 percent to nicotine replacement therapy (NRT) and use of e-cigarettes, respectively. 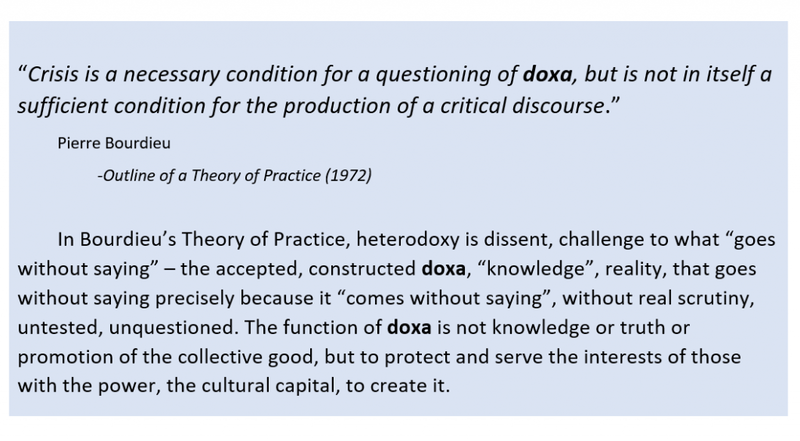 Success rates of greater than 0 percent (greater than no effectiveness) are not supported by the uncontrolled study results, from analysis based on the most elementary principles and errors of research design and interpretation – comparison to control; internal validity; and external validity. 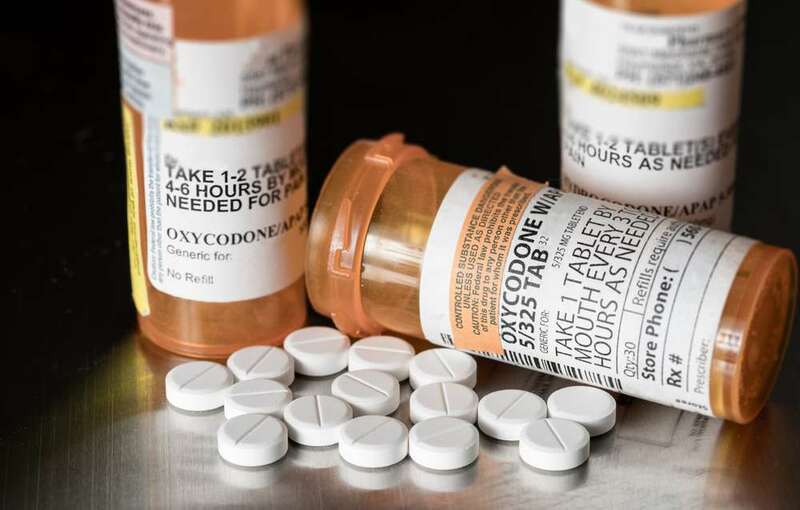 And predictable that those mortality-predicting unsupported conclusions would emanate from a published report in the New England Journal of Medicine (NEJM) – the very journal portraying as significant the clinically meaningless “research” report used to justify runaway, medically inappropriate prescription of opioids that would fuel America’s lethal opioid epidemic. 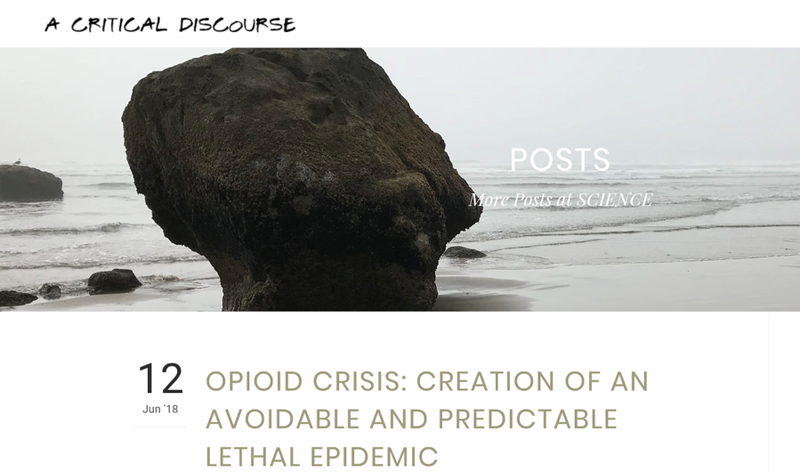 And that, just as in the craven, grossly negligent, and malfeasant mix of criminal behavior, group think, and institutional pathology generating the opioid crisis, mass and social media would be along for the ride. 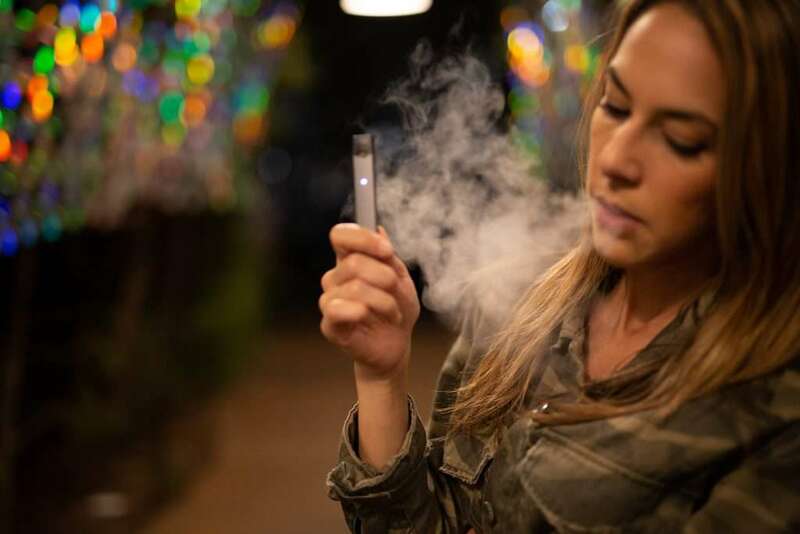 e-Cigarettes were more effective for smoking cessation than nicotine replacement therapy in combination with behavioral support, found a study in the New England Journal of Medicine. A recent study suggests e-cigarettes were more effective for smoking cessation than nicotine replacement therapy. The 886 participants attending UK National Health Service stop-smoking services were randomly assigned to receive a 3-month supply of their preferred nicotine replacement products, or to an e-cigarette starter pack. Both groups received weekly one-on-one behavioral support for at least 4 weeks. 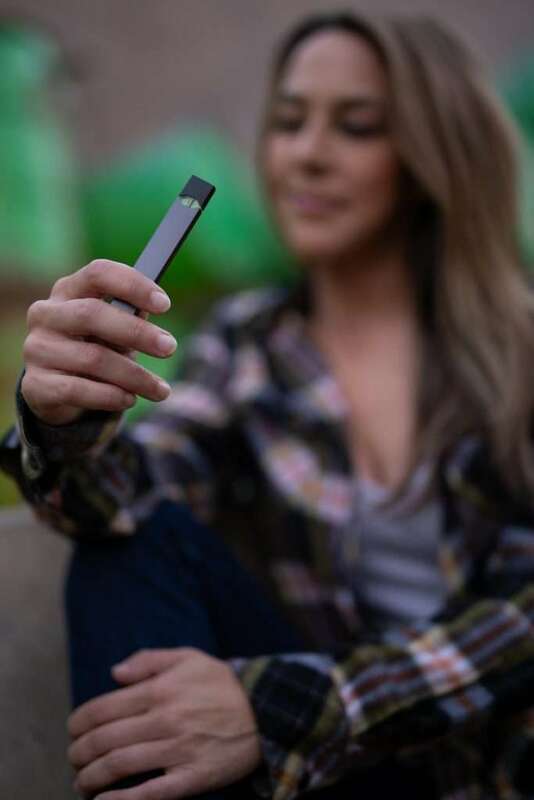 The 1-year abstinence rate, which was validated biochemically, was 18.0% in the e-cigarette group compared with 9.9% in the nicotine replacement group. 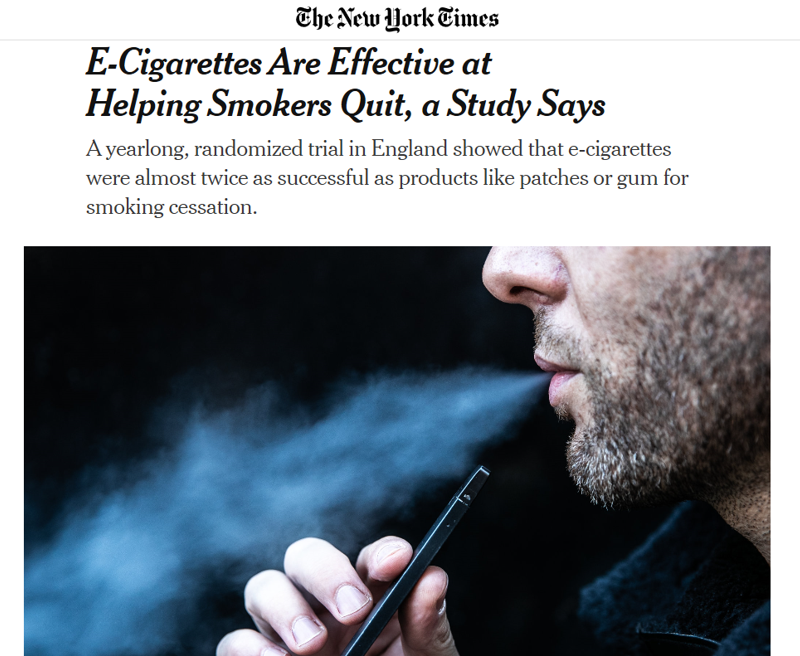 Among those who quit, 80% of participants in the e-cigarette group vs 9% of those in the nicotine replacement group continued to use the nicotine products. Although long-term e-cigarette use may present harms, it may also prevent smoking relapse, wrote the authors. 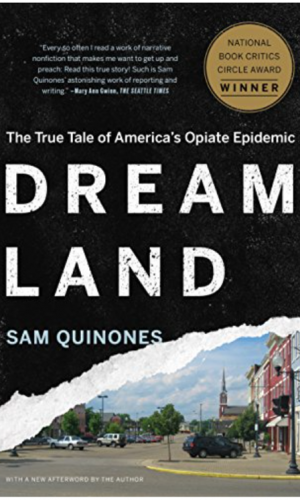 That deep underlying social and institutional pathology – that generated a predictable, avoidable, for-profit lethal opioid epidemic – has barely been examined, let alone treated. Nothing has changed.